Mothercare is to close about 50 of its 137 stores by June next year with the potential loss of about 800 jobs after landlords approved a financial rescue package on Friday. Clive Whiley, interim executive chairman of the struggling baby goods retailer, said the deal was a “crucial step forward to achieve the renewed and stable financial structure for the business that will drive an acceleration of Mothercare’s transformation”. More than three-quarters of the independent creditors, including landlords and suppliers, backed the company voluntary arrangement (CVA) plan, a form of insolvency which enables retailers to exit unprofitable stores and reduce rents. There had been fears of a push back from landlords who have been faced with a string of CVAs in recent months. New Look, Carpetright and Carluccio’s have all used the process to jettison unwanted stores while House of Fraser is expected to announce details of its restructure within days. Underhand tactics used by some of Britain’s biggest banks to justify thousands of branch closures can be revealed today. A Daily Mail investigation found Lloyds and Royal Bank of Scotland are downplaying how many people used the branches they wanted to shut. Both banks, which were bailed out by taxpayers during the financial crisis, routinely publish figures showing that only a tiny number of regular weekly customers still use branches facing the axe. But they use highly restrictive criteria that class a customer as being ‘regular’ only if they go into a branch as many as 48 weeks in a year. It means customers who visit their local branch once a fortnight, or who usually use it weekly but go on holiday several times a year, are left out of the calculations. Last year, Lloyds and RBS shut 439 outlets between them – around an eighth of their networks – and they are axing at least 519 more this year. Last night, campaigners accused the banks of trying to mask the truth about the importance of branches to justify savage cuts depriving rural communities of vital services. The pair’s approach is far more restrictive than rival Barclays, which classifies someone as a regular customer if they use a branch just three times in a year. RBS and Lloyds have used the numbers to justify the closure of branches all over the country. In Birmingham, for example, RBS said its NatWest city centre branch had just six regular customers and closed it in February. Won't surprise anyone who's had to queue for ages to get served recently. To be completely fair, I use Lloyds once every couple of months. I've started going earlier (before 10:30) and I've been attended to quite quickly. I appreciate others may not have had my experience though. Poundworld is poised to announce its intention to appoint administrators, putting around 5,300 jobs at risk, the Press Association understands. The budget retailer - which has three stores in Coventry - is low on cash and is filing the notice because it will give the business protection from its creditors for two weeks. 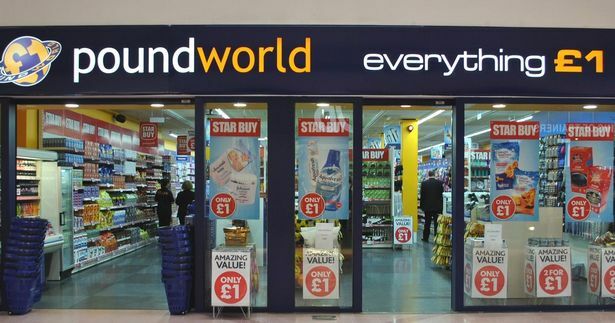 Sources told PA that the notice will give Poundworld time to structure a deal, which could be undertaken through a pre-pack administration, with private equity firm R Capital, former owner of Little Chef. The administration will be handled by Poundworld's advisers Deloitte. Poundworld, which is owned by TPG Capital, had previously rejected offers to sell through a pre-pack but all options are now being considered. Management has so far failed to sell the retailer as a solvent business, after turnaround specialists Alteri Investors walked away from sales talks this week. Deloitte has been preparing contingency plans for an administration in the event of talks collapsing. Poundworld's three stores in Coventry are located in Lower Precinct, Gallagher Retail Park and Airport Retail Park. Department store chain House of Fraser is to close 31 of its 59 shops, affecting 6,000 jobs, as part of a rescue deal. If the plan is approved, 2,000 House of Fraser jobs will go, along with 4,000 brand and concession roles. The stores scheduled for closure, which include its flagship London Oxford Street store, will stay open until early 2019, House of Fraser said. The firm's boss said the decision to close stores was "as tough as it gets". Speaking to the BBC, House of Fraser chief executive Alex Williamson described the move as "brutal", adding "we have not taken this decision lightly". "It is very dramatic for people that we care about a great deal," he said. "I find it personally very emotional, and I am not making this decision based on anything other than what I consider to be absolutely the best option for House of Fraser and all of our stakeholders." The retailer needs the approval of 75% of its creditors to go ahead with the rescue plan. Creditors will vote on the plan, which involves company voluntary arrangements (CVAs), on 22 June. The shock news the town’s Parade department store was among 31 of the company’s branches earmarked for closure came as a further blow to under pressure high street retailers. But business leaders are rallying together and calling on townspeople to play their part in supporting town centre businesses during difficult economic times. 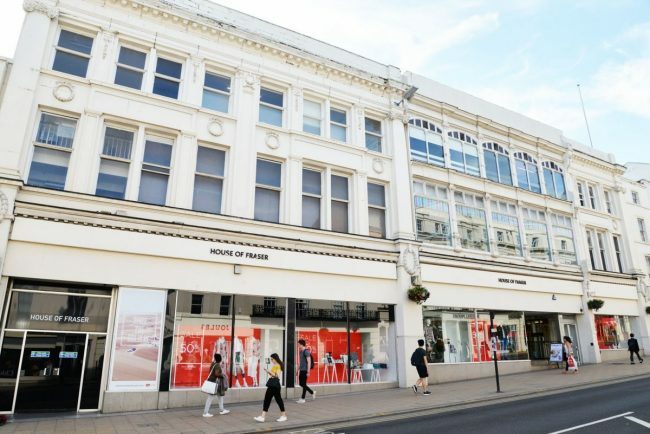 Warwick District Council leader Andrew Mobbs said: “First and foremost, we need to reflect on how the 200 employees of Leamington’s House of Fraser are feeling. The news of the closure and the uncertainty that it brings for them will be a worrying time for them. Mindful of this, we’ve already contacted the store management to offer our full support." Leamington BID director Stephanie Kerr was sad to hear the news. 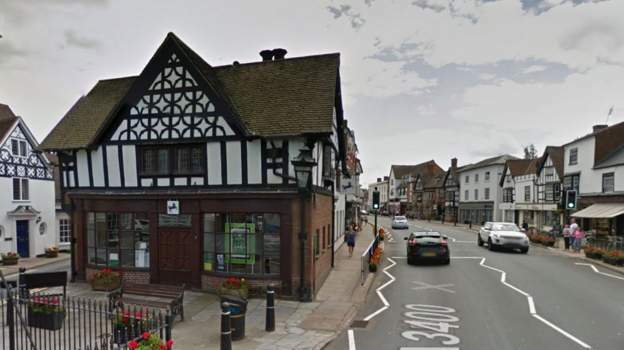 She said: “Our thoughts are with the staff as we have come to know there is something wonderful about them and their commitment to serving the customers of the town." Warwick and Leamington MP Matt Western said the closure was would affect many people across the district. Suppliers set to seek payment up front as credit cover dries up. Debenhams faces a cash crunch as credit insurers tighten terms for its suppliers, piling further pressure on the struggling department store chain. One of the leading insurers, Euler Hermes, is understood to have reduced cover dramatically for suppliers to Debenhams, while rivals Atradius and Coface are said to have refused to cover new shipments in recent days. Credit insurance is a vital part of the retail supply chain, protecting suppliers against the risk of a customer going bust between the point of accepting an order and payment being made. When insurers cut or withdraw cover, suppliers tend to demand payment upfront, putting strain on a retailer’s working capital. The crisis engulfing Britain's high streets will deepen on Wednesday when Gaucho, the steak restaurant chain, crashes into administration after its lenders opted not to pursue a rescue deal. Sky News has learnt that the company, which employs about 1,500 people, has filed a notice of intention to appoint Deloitte as its administrator. While that gives it up to ten days' breathing space from creditors, sources close to the company said it could fall into administration as soon as Wednesday afternoon. The decision will come after weeks of talks about a sale to new investors, with the restaurant entrepreneur Hugh Osmond among those who examined a potential deal. However, insiders said the failure of Gaucho's lending syndicate to unanimously back any of the proposals had made the company's insolvency inevitable. The plunge into administration is the latest grim news to affect a prominent brand trading on the high street, with Toys R Us UK, Maplin and Poundworld all having called in administrators this year with the loss of thousands of jobs. They can hardly blame the internet this time can they? If you see this message, it means that your browser doesn't support frames or they are disabled. 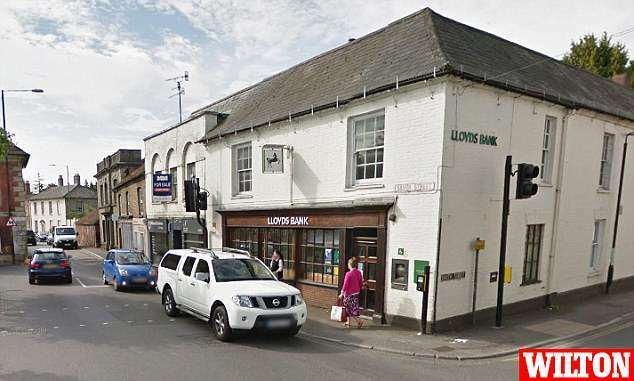 The last bank in Henley-in-Arden's to close because too few people are using it. According to the bank, Lloyds, just 63 people on average a week are using the branch. The local bank will close the doors for the final time in October. The nearest branch is now nine miles away in Warwick.